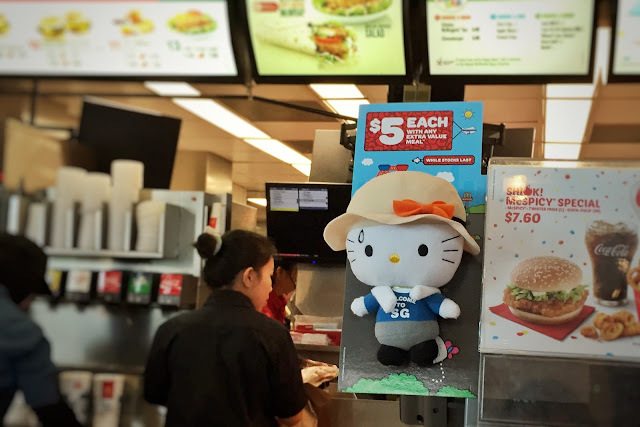 McDonalds has just launched the set of SG50 Hello Kitty plush toys online last week. 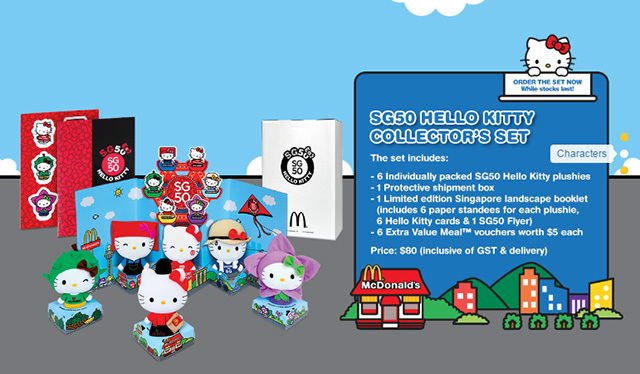 The set, priced at S$80, consist of 6 Hello Kitty soft toys, one limited edition Singapore landscape booklet and 6 S$5 Extra Value Meal vouchers. 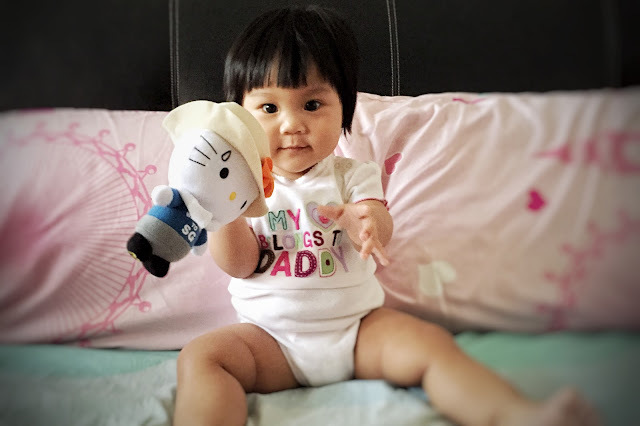 GST and delivery fee included. 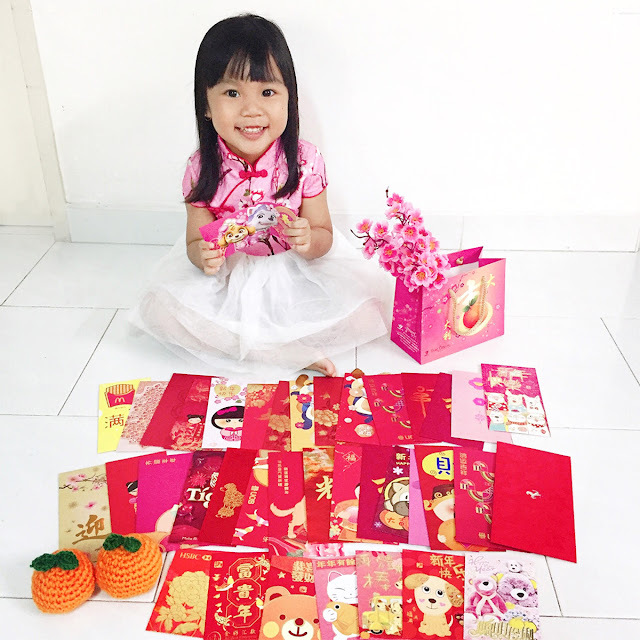 The 6 Hello Kitty are namely, the Trishaw Uncle, SG50 Parade, McDonald's Crew, Orchid Lover, Durian Lover and Samsui Woman. 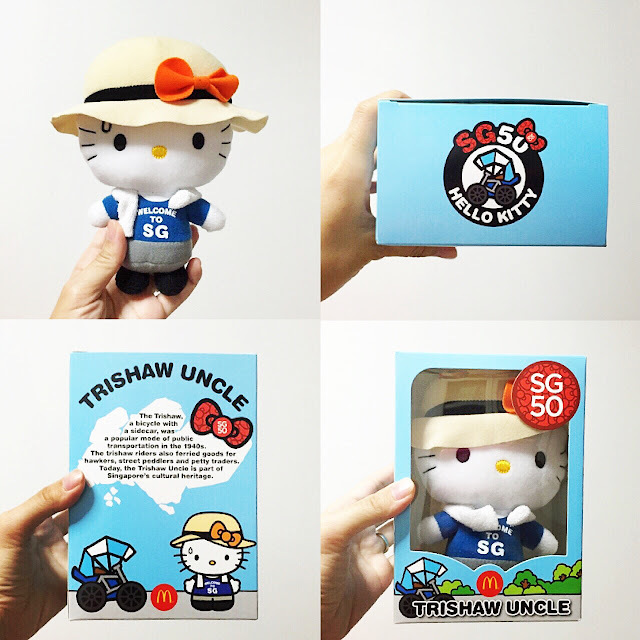 I'm only interested in the Trishaw Uncle, SG50 Parade and Samsui Woman. So I did not get the set online, but to attempt to get in-store, provided that the queue is not that horribly scary. 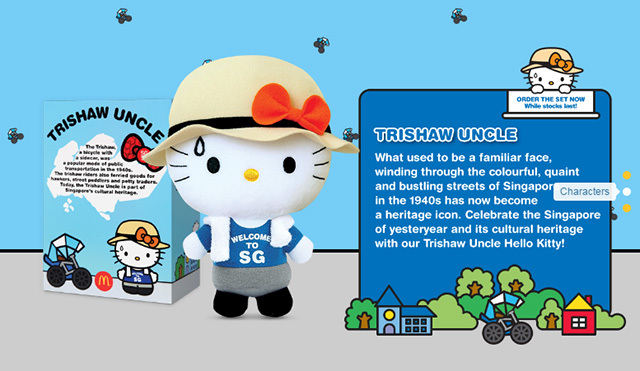 Today is the first day of sale in-store for the Hello Kitty Trishaw Uncle. When I reached at 10.59am, there was a queue outside the outlet. I went to take a look and it's about 20 people long. With 4 to 5 counters inside, I decided to queue and get my lunch. 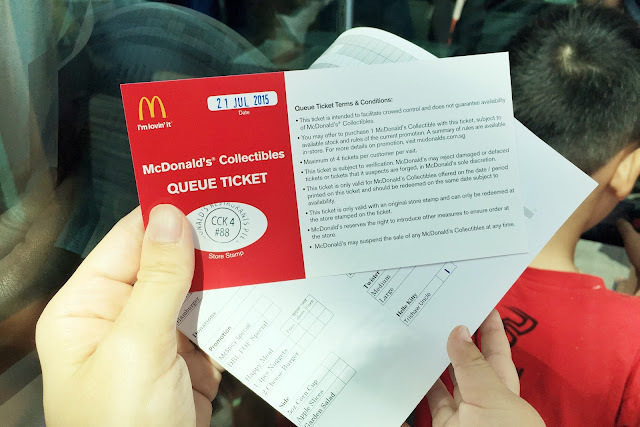 In the queue, we were issued the order form (the staff will mark our order on the form) and a collectible ticket. 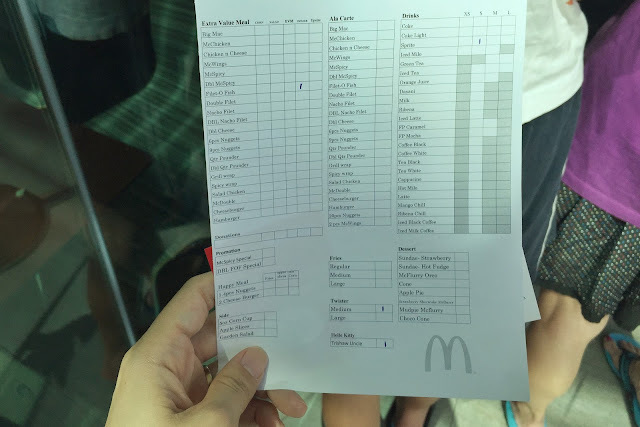 After about 15 minutes, it's my turn to order. The cashier was confused at the order form. Made me think that it's pretty redundant since I have to repeat my order again. 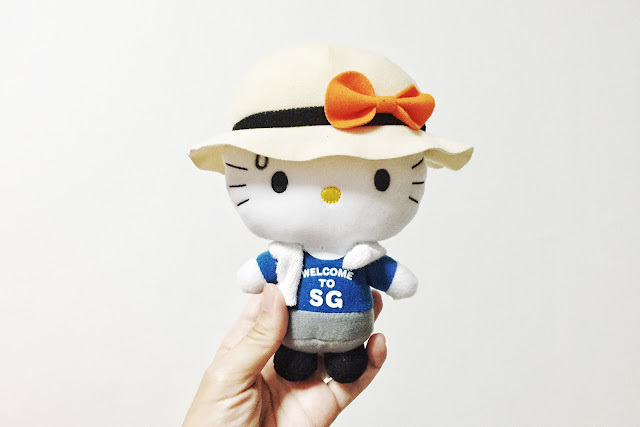 The whole process wasn't that scary as compared to my last Hello Kitty queue. And I had heard from friends that they did not need to queue. Maybe next kitty, I will go when it's about 12? Before lunch crowd comes, after first queuers gone? Nice graphic from the McDonald's website.